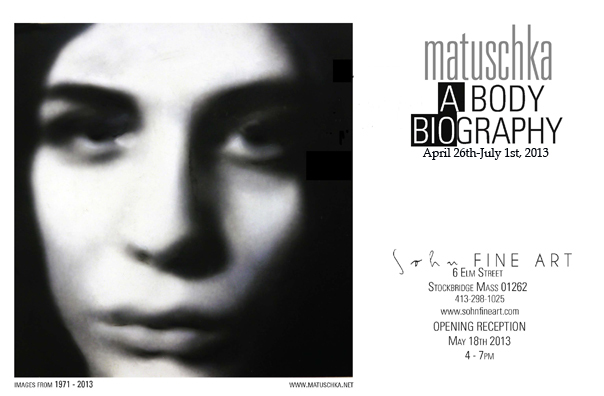 On Sunday, August 13th 2013, CBS Sunday Morning featured a powerful piece on Women's bodies, Breast Cancer, Censorship, Art, and so much more showcasing Matuschka's iconic images. The artist was interviewed by the extraordinary Martha Teichner! Headline Story. Thursday, October 17, 2013 from 6-9 PM in the University Center Ballroom at Adelphi University in Garden City, LI. Adelphi University is one of the oldest colleges on Long Island for liberal arts and sciences. We have LI campuses in Garden City and Hauppauge. Thursday October 24, 2013 from 12:30 to 1:30 pm.